2 storey open plan office structure with clear span suspended first floor area of just under 3,000m². Thermally Active Building System incorporated into the soffit of the PCE GT flooring units. PCE’s “kit of parts” approach included 316 precast components and 88 steel beams manufactured offsite to stringent quality requirements. Structure erected in 9 weeks: large areas of exposed concrete finishes reduced overall building completion time. 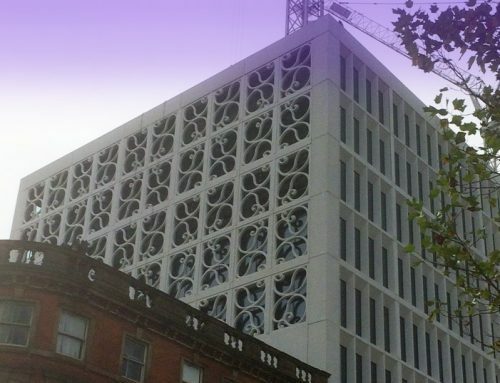 An innovative two storey offsite engineered Hybrid concrete structure erected by PCE Ltd in Durham provided a new data, IT and Marketing office centre for City Electrical Factors (CEF). Featuring internal exposed concrete surfaces, clear spans with the concrete units providing control of the building’s internal environment, which proves the use of concrete for smaller sized buildings. For the two storey building, Architects FaulknerBrowns chose structural concrete as the principal construction material including the roof structure, the first floor having two separate and distinct floor areas separated by an atrium area, one being rectangular of 52m x 15m and the second being “L” shaped with side lengths of 70m and 31m with a 9m width. Both suspended areas are linked at floor level by three bridging walkways. The need to have high quality exposed concrete finishes. 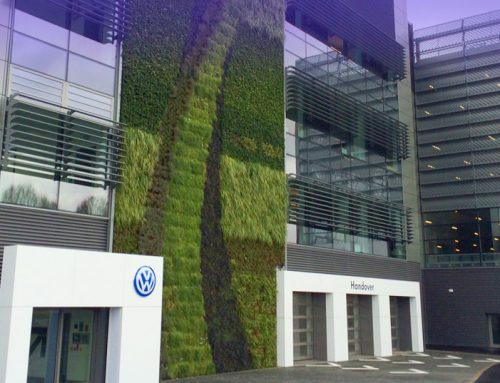 Main contractor Sir Robert McAlpine won the tender competition to bring the design to life. PCE put forward an Offsite engineered Hybrid structural solution utilising its “kit of parts” approach to develop a bespoke solution that met the overall design requirements for the project and this led to PCE being appointed on a design and build basis to construct the buildings structural frame. The two lift and stair cores were constructed using PCE’s PreFastCore modular system providing a safe, fast and dimensionally accurate solution, erected full height at the start of the construction process which gave stability to the structure as well as providing safe access for construction personnel to the first-floor level as work proceeded. 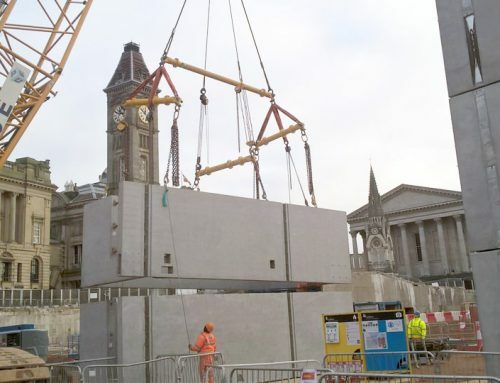 Additional precast concrete shear walls were also used to provide stability where required. For the precast concrete flooring and roofing units, PCE chose to use their own GT flooring system which was initially developed by the company to provide a long, up to 16m, clear span option for car parks and has been extensively used for such. 1,424m² of 400mm deep GT units were used for the 14m clear span whilst 1,441m² of 250mm deep GT units were used for the 8.0m clear span. The GT concrete units are designed so that no structural concrete toppings are required and thus their use reduced further additional onsite activities and programme time. The bridging walkways between the two first floor areas were also formed of GT units. City Electrical Factors, the UK’s largest electrical wholesalers who have been trading for nearly 60 years and prides itself on being the leader in developing innovation within its sector. Due to the company’s growth it required a new Data, IT and Marketing Centre located in Durham and chose FaulknerBrowns Architects to provide an architectural solution encouraging them from the outset to develop a contemporary workplace solution which embodied and reflected CEF’s drive and commitment for innovation. April 2019. Concrete Magazine – How the “kit of parts” offsite engineering approach provides structural solutions for smaller buildings.